Yost Electric has a complete in house electric motor rewind shop capable of rewinding motors up to 200 horsepower. We can remove a damaged motor from your location and set one of our loaner motors in its place until your motor has been repaired. 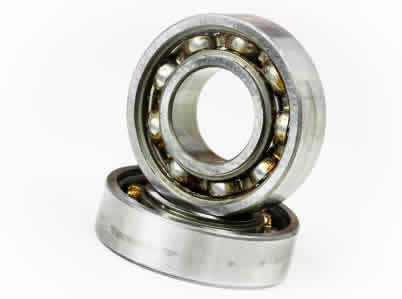 We also offer same day bearing replacement on most all types of electric motors. If downtime is an issue for you, we may be able to provide a motor while yours is being repaired. 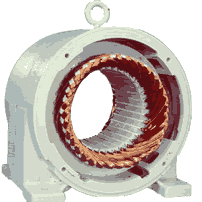 It is not always feasible to repair an older electric motor due to motor design or condition. In some cases it is more economical to replace an older motor with a new, more efficient or totally enclosed motor. A Variable Frequency Drive installed on any electric motor application will reduce the need for electric motor repairs. We have been installing ABB Brand Variable Frequency Drives on electric motors in various industies since 2006. Electric motors controlled by a VFD installed by Yost Electric have proven to have increased longevity over motors controlled by standard pump panels. We can also protect motors connected to standard pump panels by using high quality electrical connectors, lightning protection, and phase protection technology.